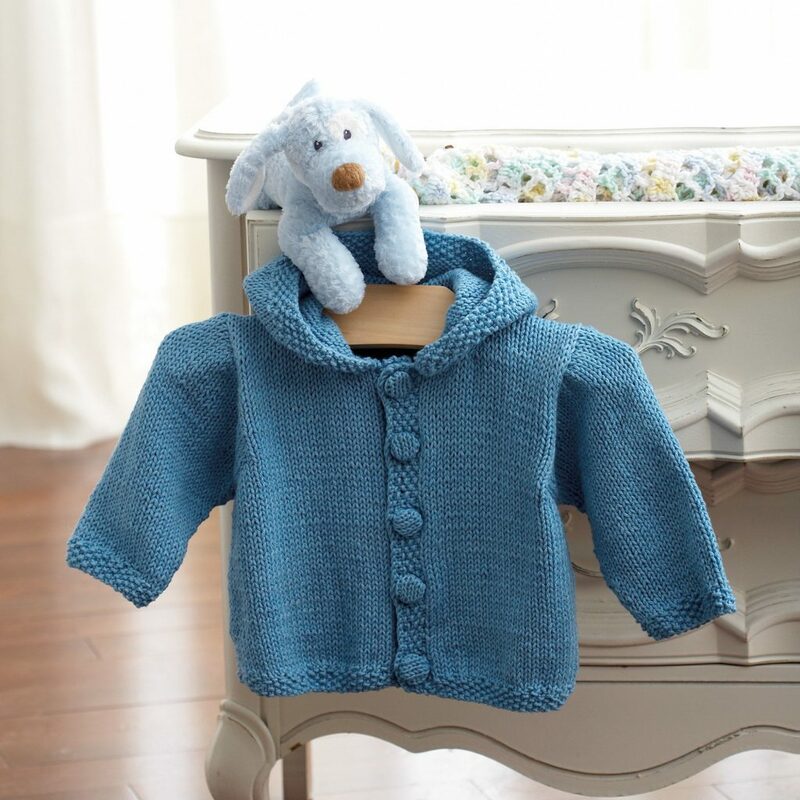 Free Knitting Pattern for Baby Cardigans. 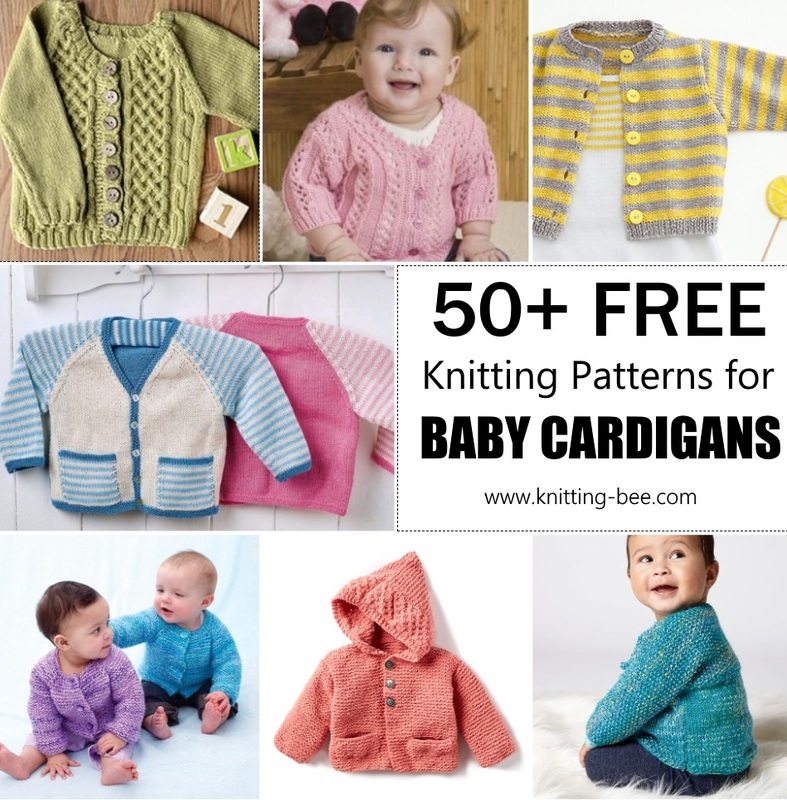 Over 50 completely free baby cardigan knitting patterns to download now! 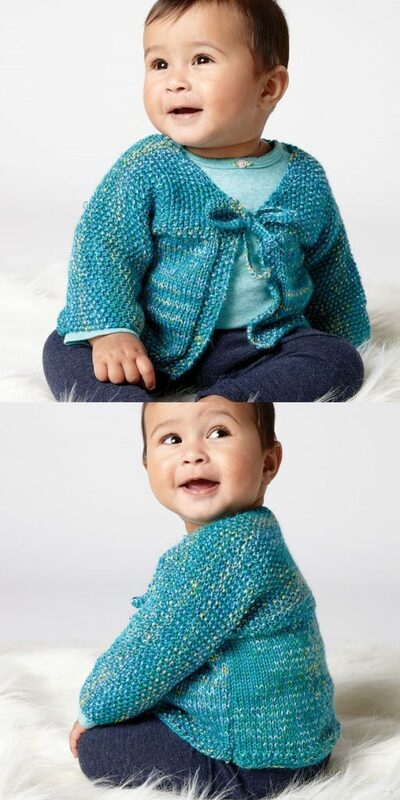 From beginner knitting patterns for baby cardigans to more experienced patterns with lace and cables. Cute ideas that will get your craving to get your needles clicking together as soon as possible. 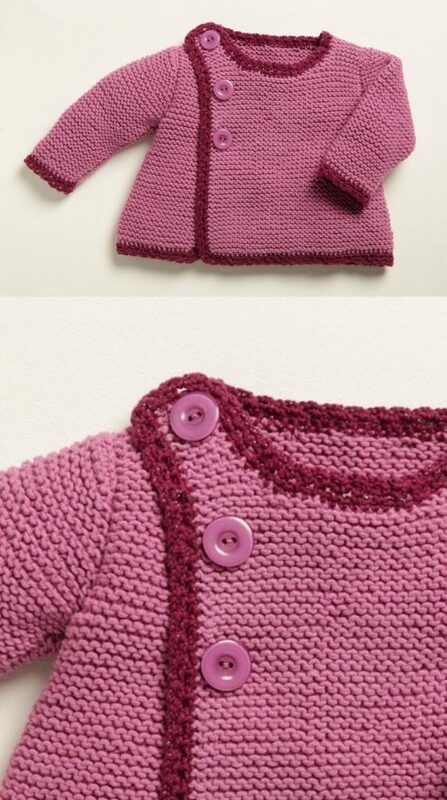 Create one of these free knit cardigans for a new baby in your life, a beautiful handmade gift to keep baby warm. The Left of Center Cardi is an adorable knit for little ones. An interesting, textured stripe pattern worked in Little Bird Colors makes this project a joy to knit. 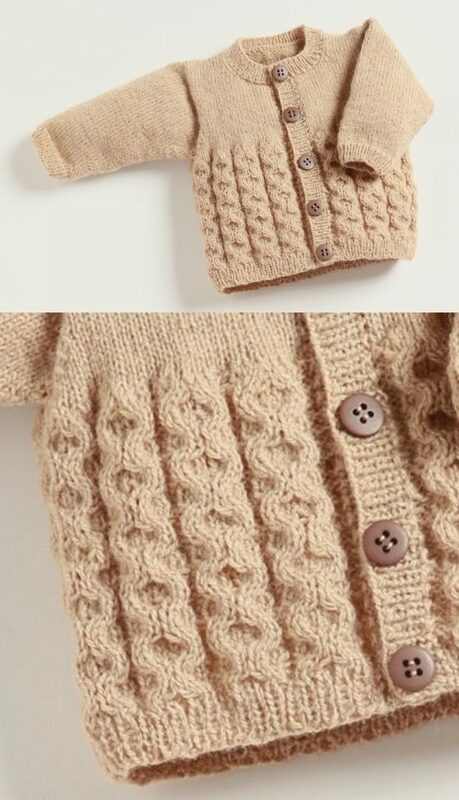 Raglan baby cardigan with cabled features. 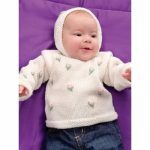 Free baby cardigan knitting pattern for a lightweight yarn for detailed eyelet lace panels knit in contrast with basic garter stitch. 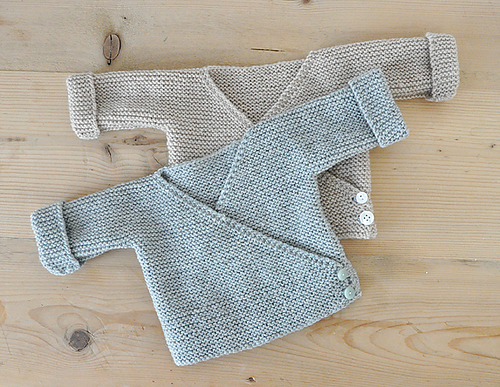 The set consists of: Knitted baby jacket and slippers with lace pattern and garter stitch. 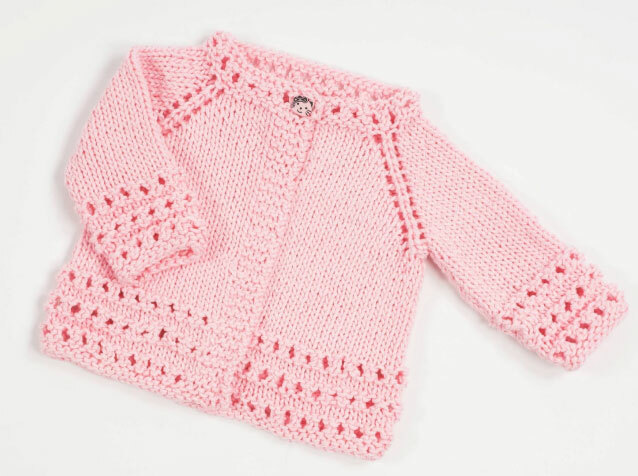 Free knitting pattern for baby cardigans with short sleeve and cable details. 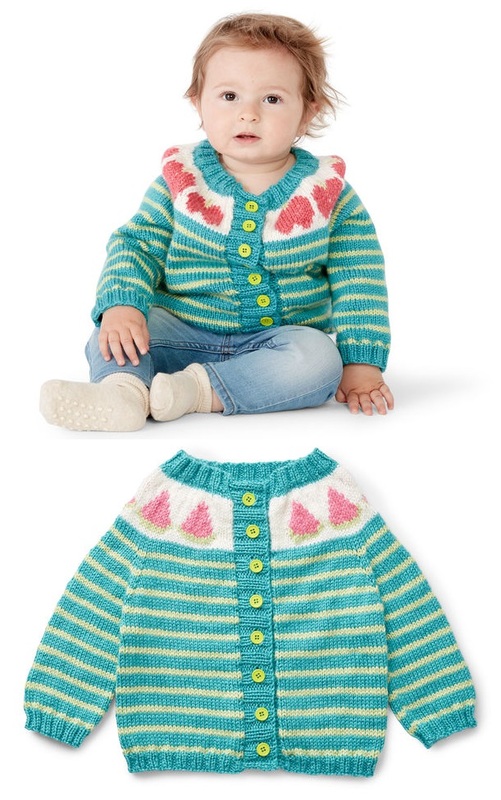 Our brightly striped baby cardigan Parker knits up quickly and features a great K1, P1 cast on. 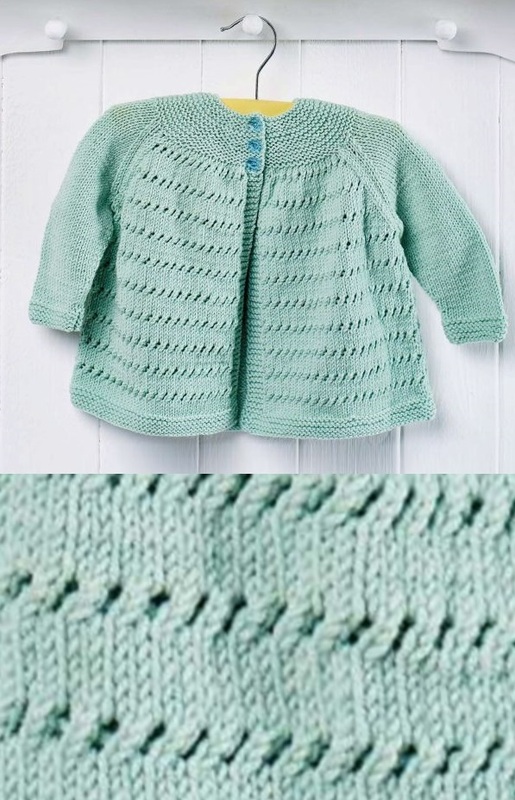 Intermediate ripple stitch baby cardigan knitting pattern. 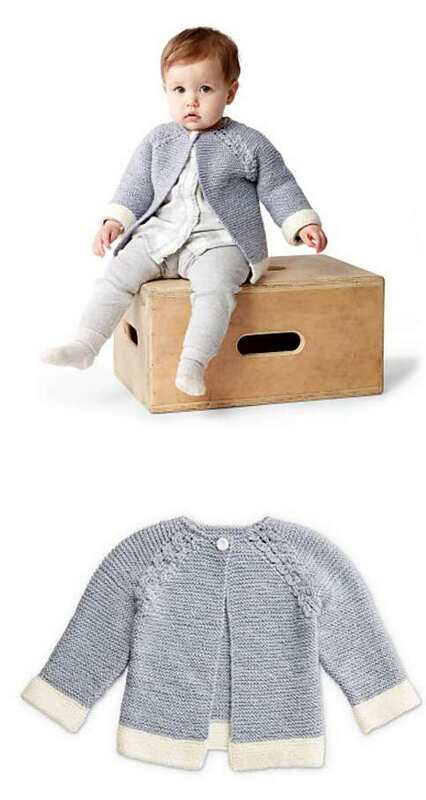 Knitted jacket with seamless sleeves in seed st for baby and children. This little hoodie is a great first garment as it’s worked just using the knit stitch and there’s barely any shaping until you get to the sleeves and the spikes. Follow our step-by-step guide for how to make it. 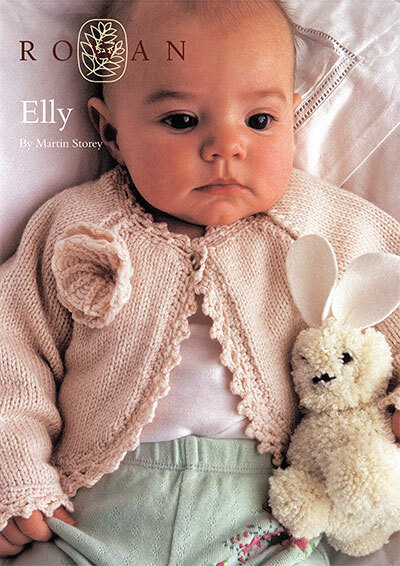 Openwork arches are featured prominently on the body of this dainty baby’s cardigan. The sleeves are Stockinette stitch, with the arch motif repeated once immediately above the cuff. An extended button tab is used for closure at the yoke. Sleeves are indented for ease in dressing and all edges are finished in garter stitch. Sizes: 6 (12-18, 24) months. Worked from the top down, a ring of leaves circle the yoke of this cardigan. Once the leaf chart is worked, the remainder of the sweater is a breeze in stockinette and garter stitch. Whether baby is going to town, to a party or just playing in the yard, this is the perfect knit sweater. 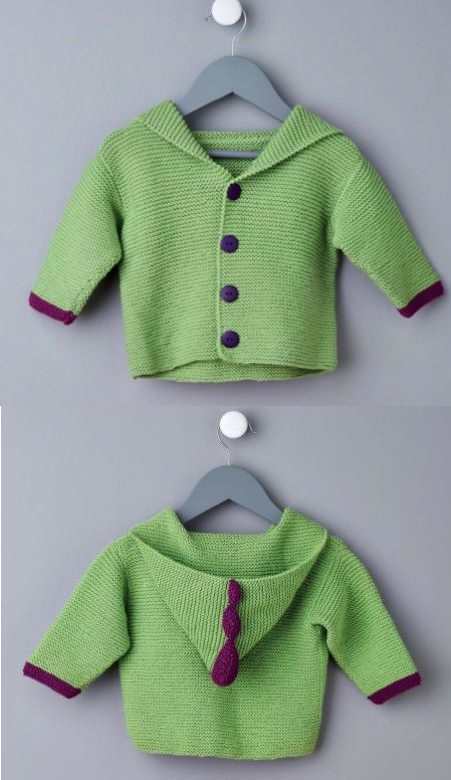 Girl’s baby jacket to knit with cable feature and collar. An easy multicolor baby cardigan, Speckle is knit using slipped stitches, which means only one color is used in each row. No carrying colors! 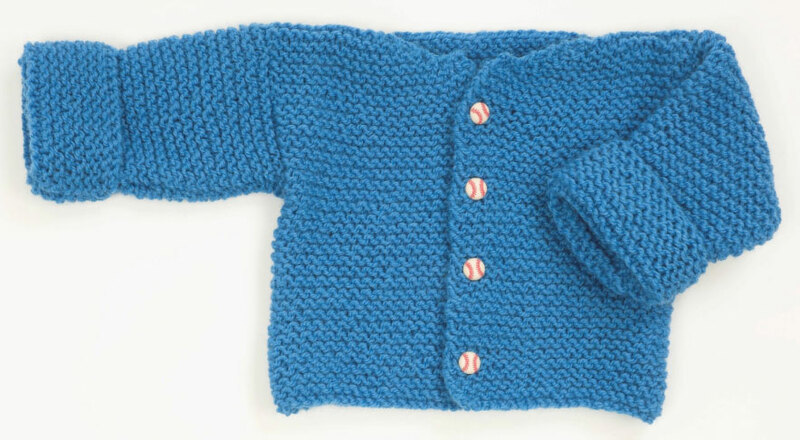 Easy garter stitch baby cardigan free knitting pattern. 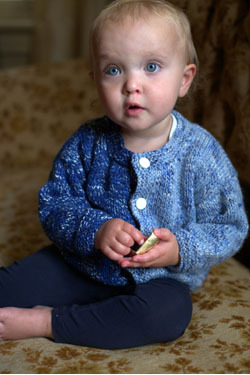 Baby cardigan featuring U-shaped plackets with ribbed stitches framed by graceful cables. Mock cables and twisted cable panels mean you can achieve the look of cables but without the hassle of a cable needle. This functional set will look equally adorable on girls or boys. The sweater is knit from the bottom up in pieces and is seamed. The hat is knit seamlessly from the bottom up. 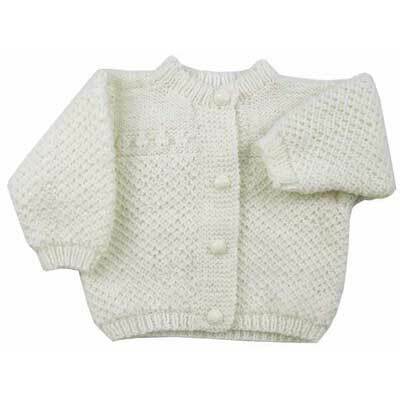 Classic baby cardigan knitting pattern with round neck. Size: 3 months, (6 months, 1 year). 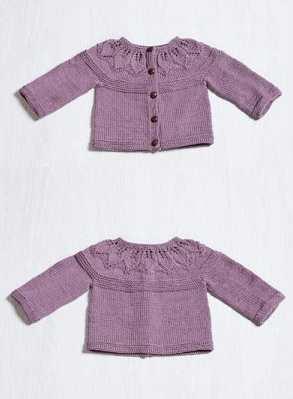 Easy baby cardigan to knit from the top down with eyelets. 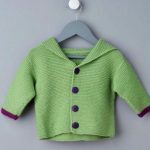 Pretty textured baby cardigan/jacket free knitting pattern. Sizes: 0-3 months, 3-6 months and 6-12 months. 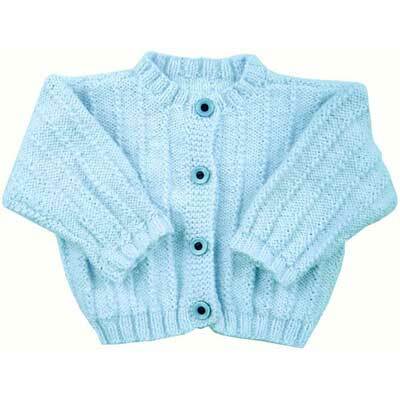 Easy baby cardigan knitting pattern with a rib stitch. 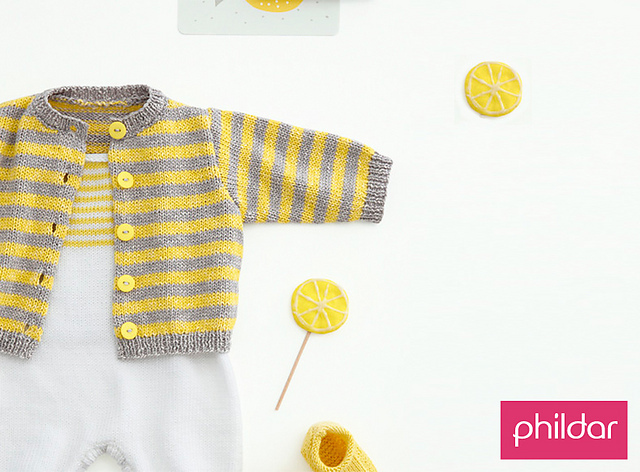 Babies look adorable in stripes and this cardigan uses simple colourwork to create a classic style. We’ve got four different colour options or you could really get creative! There are matching hangers too so it’s a lovely set for a new mum. Knitted baby jacket with cables, garter stitch and raglan, worked top down. The set consists of: Knitted baby jacket with raglan and socks. Sizes: Newborn, 3 months and 6/12 months. Quick like a bunny! Knit this super sweet matching hat and sweater set, topped with bunny ears! Baby knit jacket with textured pattern and shorts. Easy garter stitch baby cardigan. Tiny tots will look delightful in this timeless pastel number. If you’re looking for a twist on a classic cardigan, then incorporating a little shaping through a yoke is a great way of introducing a new element into your knitting. The top section is worked in one piece, meaning this pattern is certainly a lot simpler to knit than it appears, and it won’t take long to complete given its small size. 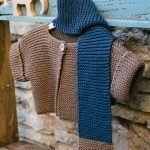 Free knitting pattern for a striped baby cardigan. 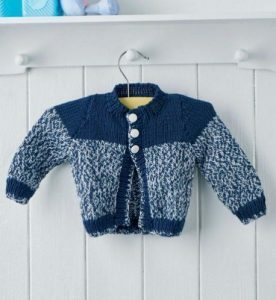 A pretty cardigan to knit for baby in stockinette stitch in two colors, looks great working with different toned yarns in the same hue. This little zip-up hoodie is ideal for keeping your bouncing baby snug and the classic striped design will make it a favourite pattern for years to come. Knit a classic fair isle yoke inspired cardigan with a fruit themed motif, using baby safe Bernat Softee Baby yarn. This sweet and simple cardi is a brilliant example of how effective two-tone yarns can be! The blend of blue and white brings a fabulous sailor look to the project and fills us with the joys of summer. It’s really easy to knit too and is a good way to get to grips with basic garment construction. 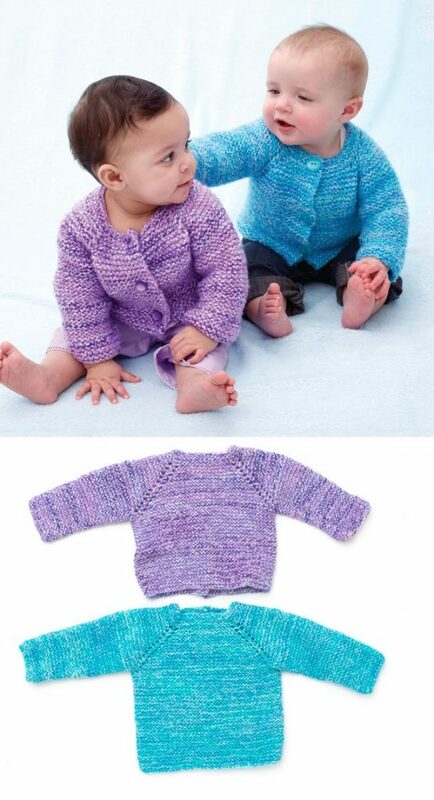 Cute baby and toddler knit set with a matching garter stitch cardigan and hat set. Whether running around the playground at recess or spending chilly autumn evenings in the backyard, your youngster will stay warm and comfortable in this cozy knit striped cardigan. Simple stocking stitch baby hoodie free pattern. 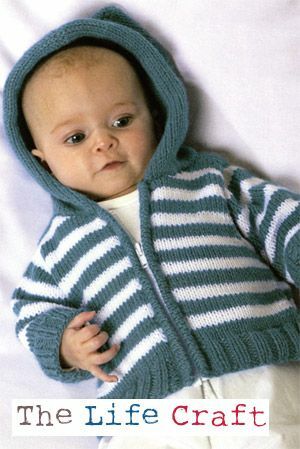 Super cute and easy striped baby cardigan knitting pattern. Knit this neutral in one easy piece for the perfect family photo cardigan! 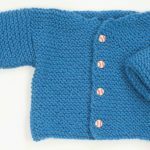 Simple garter stitch baby cardigan pattern. This cardigan is worked from side to side. The cardigan fronts and hood are worked in one piece, and then the sleeves and back are worked separately. Once seamed, the bottom band is picked up and knit along the bottom and the front is edged with crochet which also forms the button loops. 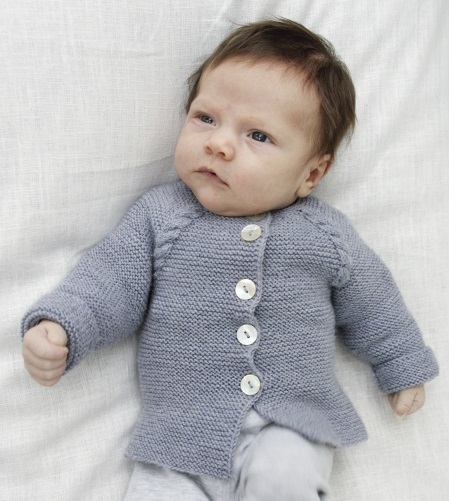 Easy baby cardigan pattern to knit in a garter stitch with pockets. 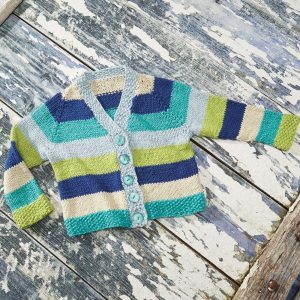 Easy and cute striped baby cardigan to knit. 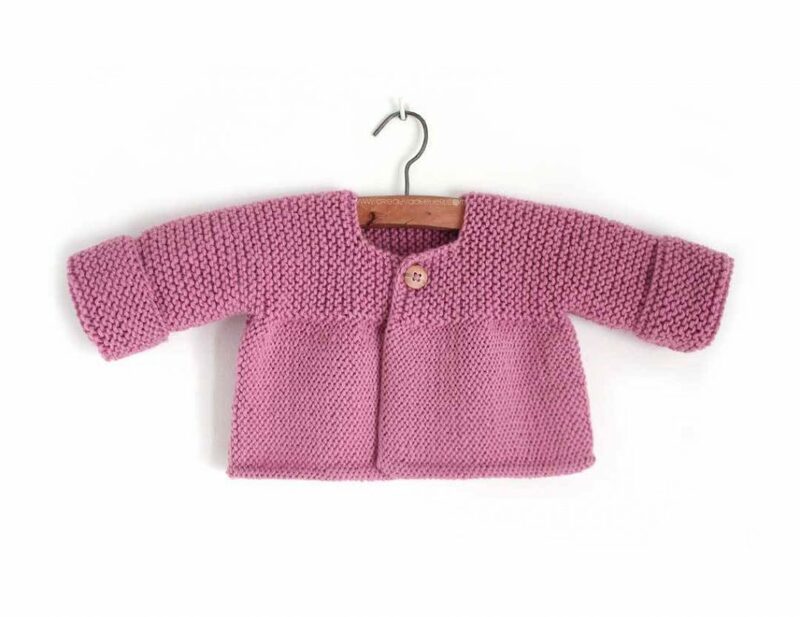 Knit this cosy cardigan is finished with a pretty corsage. 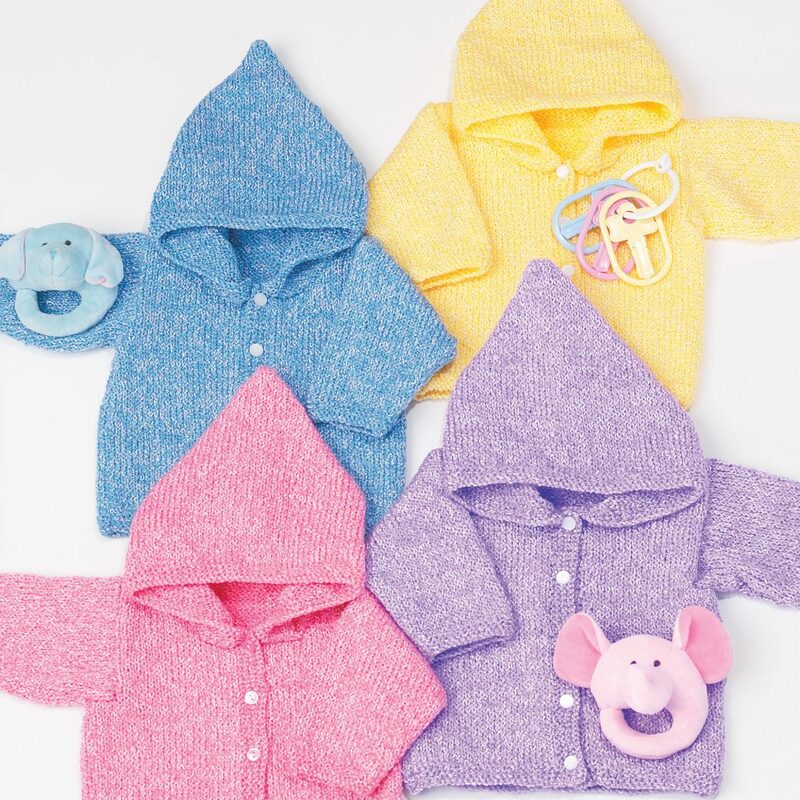 A great pattern for a buttoned and hooded jacket with versions available for both girls and boys. 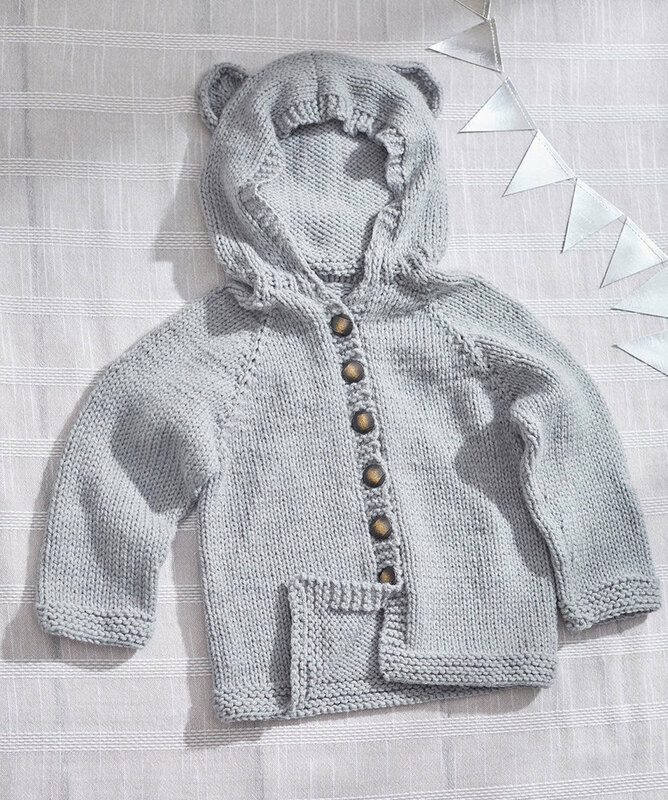 Here’s the perfect sweater to take along so that baby is comfy and warm. Perfect for sweet girls or charming boys! Baby cardigan with Celtic cable.